A 360-degree view of your customers. PhaseWare Tracker gives your team the in-depth knowledge they need to understand customer concerns and resolve issues quickly and efficiently. Tracker allows you to experience simple workflow management through incident workflow templates and Visual WorkFlows. Real-time monitoring of Service Level Agreements and open incidents using configurable dashboards to enhance your proactive support efforts. 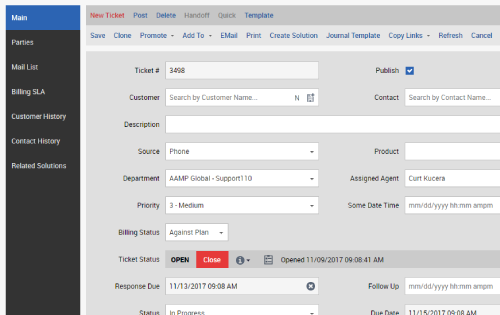 Enable you to view relevant customer history and related solutions, manage billing and SLAs, create follow-ups, add notes and attachments. 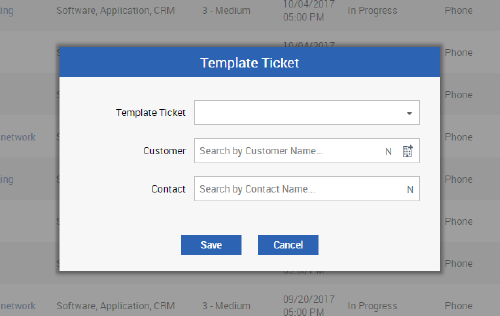 You can keep an audit trail of important events automatically and observe how much time was spent creating entries to the ticket. Use templates to control multi-step activities such as trouble-shooting common problems or managing a common project. 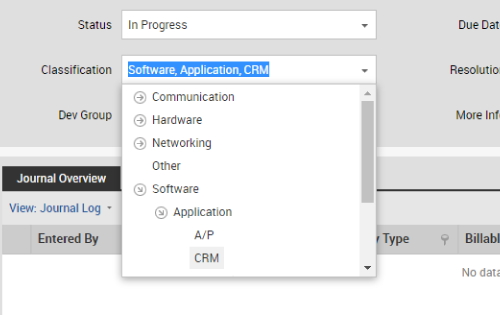 Control workflow by using a template to create task dependencies; assignments can be easily created and sent to the appropriate department or person. When your employees receive a standard support incident they can handle on the first contact, Tracker's quick incident capability lets them record it with just a few keystrokes. You can customize quick incidents in a number of ways, including requiring selection of a customer and contact; allowing or requiring entry of a note; and recording time spent on the quick incident. Tracker gives you the ability to clone an incident to easily split out different issues and create new incidents for them. To stay organized, you can group similar incidents into an incident project that can be labeled either public or personal. 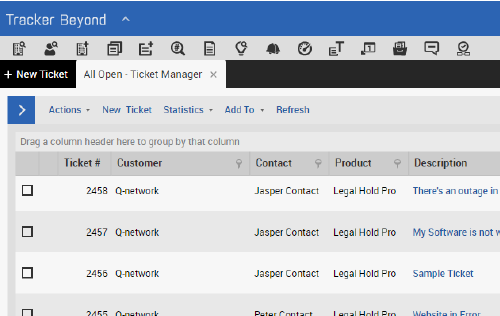 Facilitate your support efforts by tracking all customer touch-points from incident origin to resolution to closure. A classification hierarchy with as many levels as needed is available to organize incidents and use them for future analysis. A drop down menu expedites classification. A comparison can be shown between the initial contact diagnosis and the final resolution to improve troubleshooting capabilities. Tracker gives you access to incident information, including current number of open incidents, number of incidents in the last 30 days and average number of incidents a month over the last six months.